Former Team GB sensation Sam Maxwell is confident he can harness the pressure of his first professional title fight at the Leicester Arena on Saturday night. The heavy-handed Liverpudlian (10-0-KO8) faces Kelvin Dotel for the WBO European super-lightweight crown live on BT Sport and rather than try to dispel the nerves, he's looking to channel them. Maxwell said: "I'm excited. There are definitely a few nerves around. I've put a bit of pressure on myself because I really want to perform on the night. "It's important when you get chances like this to look good so that people want to see more of you. I know I box well when I'm relaxed and focused but this show is a prime spot so it's a balance between that and sheer excitement. "This is the chance to show my levels so it's only going to have an effect on my performance in a positive way. I want to be my best yet and I know I will do just that on the night. "I think I'm right up there when it comes to the best-kept secrets in boxing. I feel my 10 fights so far have gone under the radar so I'm hoping to show people what I'm really about on Saturday." Joining Maxwell on a busy bill is Maxwell's unbeaten MTK Global team-mate Troy Williamson (8-0-1-KO5), who returns to action against Yasin Hassani (4-1-KO4). Currently undefeated in his first 5 professional contests, the Dallas Super Featherweight is looking forward to an exciting future under the guidance of Victory Sports and Entertainment chiefs Rick Torres and Mike Leanardi, who also have the likes of Jose Pedraza under their management umbrella. Dallas’ Martinez opened up about his feelings on signing with VSE, “I am absolutely delighted to be linking up with such a top-class management company in Victory Sports and Entertainment. Martinez, a resident of Texas represented the USA in the World Series of Boxing, sharing the ring with some of the most elite amateurs on the planet including rising Irish superstar Michael Conlan. Martinez discussed his time in the amateurs, mixing it with the best fighters in the world. The promotional free agent said, “It was brilliant being able to travel the world with the USA national team and going to tournaments such as the Pan American Games where I won a medal. Now under the guidance of management powerhouse VSE, the future appears to be a bright one for the Dallas Cowboys fan. With Dallas boxing being at the forefront of world boxing in recent weeks, with Errol Spence Jr producing a fantastic victory over 4 weight World Champion Mikey Garcia, Martinez aims to follow in the footstep of fellow Texan Spence Jr.
Martinez gave his take on his plans for 2019 and further down the line, “I was a world class amateur and I want to be at that level in the professional ranks. Right now I want to get active again and keep progressing as a professional but when the times right I know I have the right team around me to get me the big fights and get me ready for them. 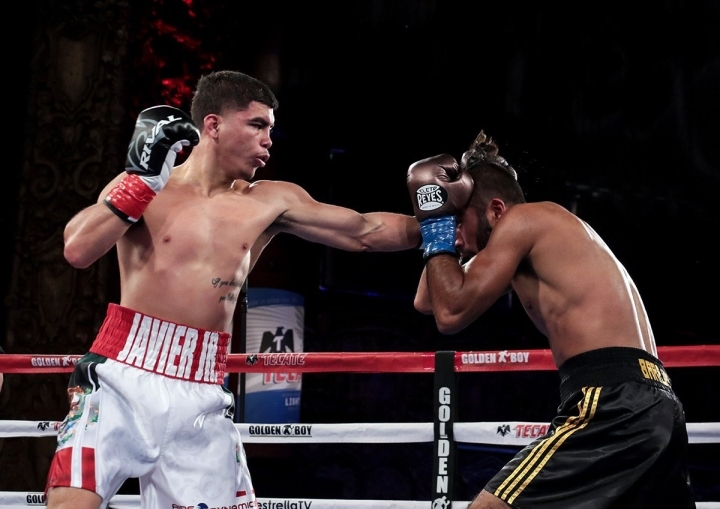 Victory Sports and Entertainment chief Mike Leanardi addressed VSE's latest acquisition, "I was a big fan of Francisco Javier coming out of the amateurs. He has a very exciting style and undoubted talent that fight fans will really enjoy watching. I'm truly excited that we're able to work with him."